Seven female science students have filed a class action lawsuit against Dartmouth College, saying they and dozens of others were sexually harassed and assaulted by three tenured professors who have since left the Ivy League institution. The women accuse college administrators of turning a blind eye to the abuse for more than 16 years, despite knowing that the professors “leered at, groped, sexted, intoxicated and even raped female students,” according to the lawsuit filed in U.S. District Court in Concord. The former students say Todd Heatherton, William Kelley and Paul Whalen “perpetuated an alcohol-saturated ‘party culture’ ” by conducting lab meetings at bars, inviting students to “hot tub parties” at their private residencies, and by suggesting undergraduates use cocaine as part of a class demonstration on addiction. 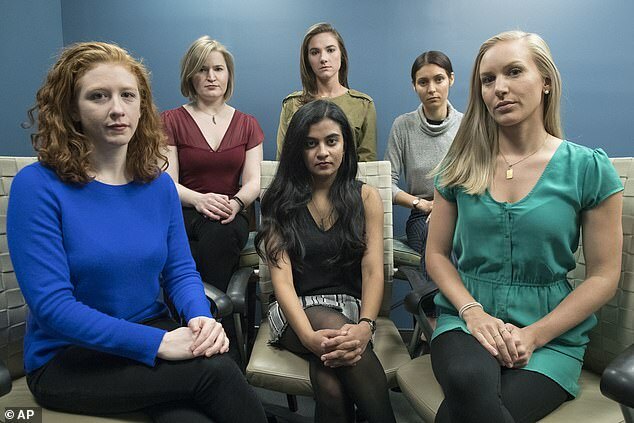 Sasha Brietzke, Annemarie Brown, Vassiki Chauhan, Andrea Courtney, Marissa Evans, Kristina Rapuano and an anonymous plaintiff identified as Jane Doe are bringing the lawsuit on behalf of every current and former female undergraduate and graduate student enrolled in Dartmouth’s psychology and brain sciences department between March 31, 2015, and the date of judgment. They have brought six claims against the institution, including Title IX violations to include sexual harassment and gender discrimination, as well as claims of breach of fiduciary duty and negligent supervision and retention under New Hampshire law. This summer, Kelley and Whalen resigned in the face of an internal investigation by the college and a criminal investigation by the state’s department of justice. Heatherton retired. The professors were accused of creating a hostile work environment in which undergraduate, graduate and postdoctoral students an uncomfortable workplace where the line between professional and personal relationships was blurred. Those sentiments were shared with the student newspaper, The Dartmouth, whose reports led the college to publicly announce the three professors were under investigation. That further led to the attorney general’s probe. The women who are now suing Dartmouth say they were told they would have a voice in the college’s independent investigation, but were ultimately ignored as the three professors quietly departed. “We respectfully, but strongly, disagree with the characterizations of Dartmouth’s actions in the complaint and will respond through our own court filings,” Dartmouth president Philip Hanlon said in a statement. He said the school took unprecedented action in revoking the professors’ tenure and ending their employment. “They are no longer at Dartmouth and remain banned from our campus and from attending all Dartmouth-sponsored events, no matter where the events are held,” Hanlon said. The school applauds the students who came forward and remains open to a resolution of the complaints outside of the court process, Hanlon said. The lawsuit against Dartmouth was filed by Steven Kelly of the Maryland-based law firm Sandford Heisler Sharp, LLC, who represented St. Paul’s School sexual assault survivor Chessy Prout and her parents in a 2016 federal lawsuit against the Concord prep school. Concord attorney Charles Douglas served as local counsel in that case and will do the same in this matter. The Prouts accused St. Paul’s of endangering the welfare of the children entrusted with the care by allowing a sexually pervasive culture to continue at the school for decades. The parties reached a confidential settlement resolving the case in January.